With Emulsion, it’s all about you. A new philosophy in skincare, this pioneering brand allows you to customise each product from function to fragrance, creating a truly personal blend. Start with their range of premium-quality bases, from serums to scrubs, and boost with your choice of Add Ons to exactly match your mood and requirements. Because nobody knows you, like you. Refresh your skin with Face Wash Base, a deeply cleansing formula suitable for all skin types. Ideal for use in the morning or evening, this face wash helps to wake up your skin or prepare for a restorative sleep, washing away all impurities for a smooth, clear complexion. 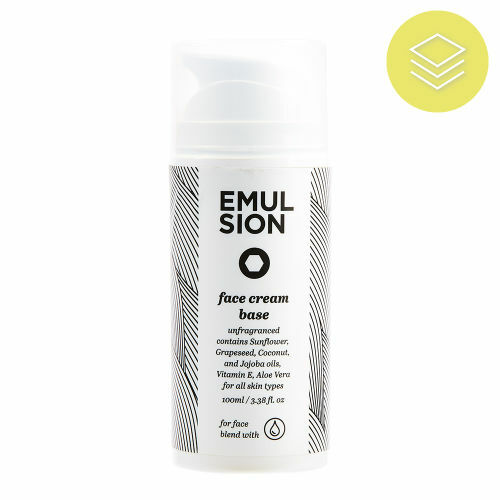 Revive your skin with Face Cream Base, a moisturising formula enriched with aloe vera and jojoba oil. Unfragranced and suitable for all skin types, this cream features a nourishing blend of natural oils and vitamin E to deliver intense hydration and create a smoother, brighter complexion. 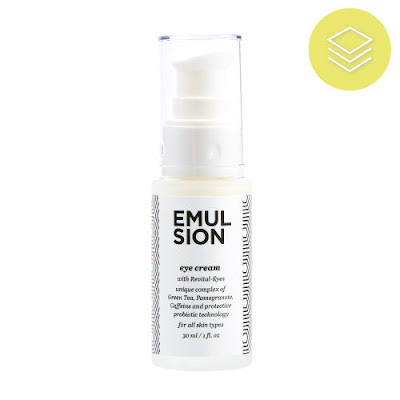 Ideal for all skin types, Eye Cream With Revital Eyes is rich in nutrients and skin-firming agents. 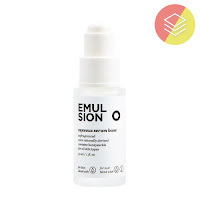 This innovative formula contains probiotics, green tea, pomegranate and caffeine to help reduce the signs of aging and tone the skin, creating a smoother, more youthful look. Suitable for all hair and skin types, Oil Serum Base contains a powerful blend of natural oils. 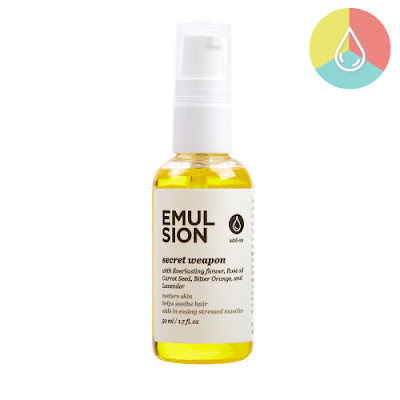 This nourishing, unfragranced formula sinks deep into the skin and hair, infused with apricot, olive, jojoba oils and berry seed extracts for a smoother, healthier finish. Designed for use on skin or hair, Aqueous Serum Base is a radiance-boosting and 100% naturally derived formula. 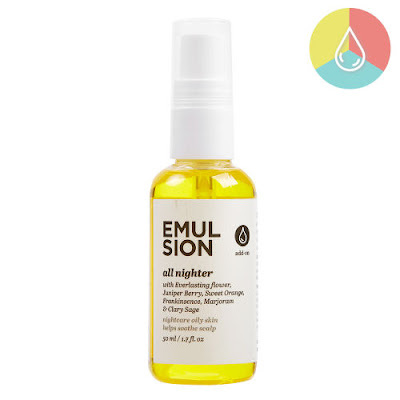 This lightweight, unfragranced serum helps to protect and hydrate hair and skin for a silky-smooth finish. A mask base for face and body. Wake up your skin with Clay Mask Base, a moisturising formula enriched with shea butter and argan oil. 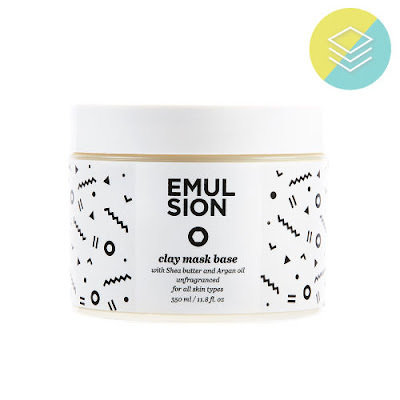 Unfragranced and suitable for all skin types, this mask features a nourishing blend of natural clays and oils to deeply cleanse the skin and create a brighter, revitalised complexion. A cream scrub base for face and body. Be revitalised with Cream Scrub Base, a sweet and salty formula that will leave your skin feeling smoother than ever. 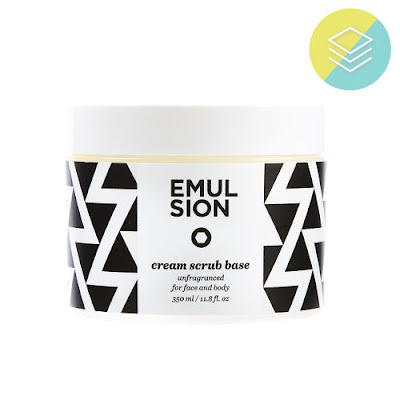 Unfragranced and creamy-textured, this scrub effectively removes dry or rough skin to reveal a silky-soft, even finish. Enhance your skin and hair with Kind Karma Add On. Packed with naturally-occurring antioxidants and calendula extract, this nourishing blend helps to banish toxins, promoting strong hair and healthy, plumped-up skin. Wake up feeling refreshed with All-Nighter Add On. Enhanced with everlasting flower, juniper berry, sweet orange, frankincense, marjoram and clary sage, this nourishing blend works its magic while you sleep. Use as a night-care treatment for oily skin or to help soothe the scalp. Delivering a powerful blast of antioxidants, Super Berry Add On will work wonders for your skin. 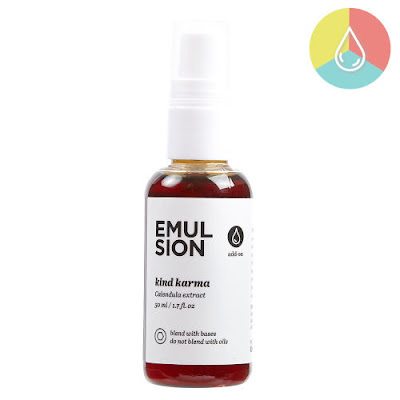 This hydrating blend combines Guarana, Acerola Cherry, Sea Buckthorn, Cranberry and Camu Camu, a super-fusion of anti-aging and properties known to benefit both hair and skin. Achieve firmer, youthful-looking skin with Secret Weapon Add On. 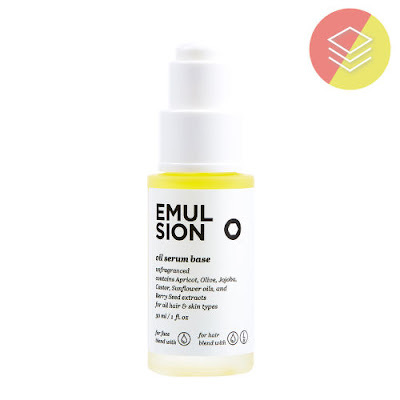 Enhanced with everlasting flower, rose oil, carrot seed, bitter orange and lavender, this skin-firming blend can help to reduce the look of fine lines and other signs of aging. Ideal for mature skin, to soothe hair and to help ease stressed muscles. 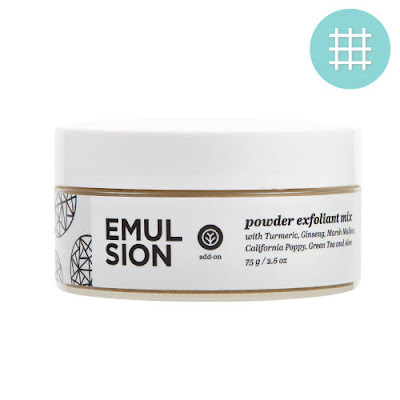 Revitalise your skin with Powder Exfoliant Add On, a soothing and moisturising blend to enhance your favourite Emulsion Base. This calming mix of Turmeric, Ginseng, Marsh Mallow, California Poppy, Green Tea and Aloe will leave your complexion smoother, more radiant and softer than ever – the ultimate exfoliating experience. 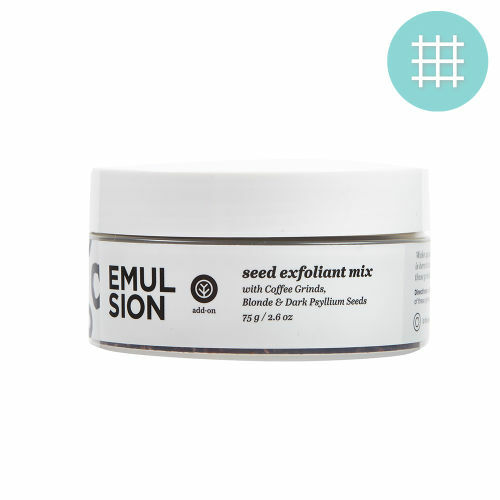 Energise your skin with Seed Exfoliant Add On, a rich blend to enhance your favourite Emulsion Base. 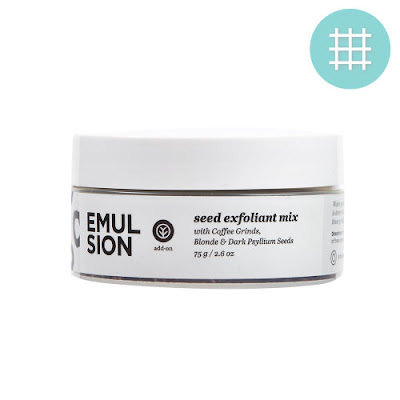 This stimulating mix of Coffee Grinds, Blonde & Dark Psyllium Seeds will leave your complexion smoother, more radiant and softer than ever – the ultimate exfoliating experience.